Can You Out-Supplement A Bad Diet? Shoring up your defenses and boosting your health with pills and potions won't make a difference if your diet isn't up to scratch. You've probably been told over and over again by every respectable nutritionist and doctor out there that a supplement stack cannot overcome a poor diet. Let's reverse engineer that statement, because it's also telling you that your exercise performance can get absolutely everything it needs from the whole foods section of the supermarket. Consider that taking creatine for a few weeks can increase your muscle power by 15 percent, or having a caffeine pill before a workout can boost your endurance by a staggering 17 percent. Well, there aren't any foods which can boast those benefits, so supplements clearly have their place. A weak diet isn't necessarily thanks to a distaste for vegetables, nor is it always a conscious decision. Think of it this way: If 12 p.m. saddles you with non-negotiable ravenousness and you only have the $5 you dug out from under the sofa cushions, you can still grab a meal deal at a drive-thru. But, go to an organic market and ask a teller what you can get for your five bucks, and you'll be lucky if you get offered a liter of expired goat's milk and a coupon to McDonald's. You see, the ever-hastening pace and cost of life means healthy eating doesn't always fit your schedule. 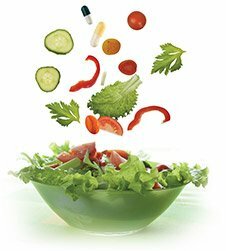 So if vegetables and lean proteins have become an afterthought, then the question that needs asking is: Can a bad diet be made moderately respectable by good supplementing? These supplement strategies can help you improve your health, even if you absolutely insist on eating like a four-year-old. And if you're smart enough to already eat healthy, but treat yourself to the odd cheat meal then these tactics will help you activate damage control mode when the times comes. Either way you win, and will be healthier and fitter. "The ever-hastening pace and cost of life means healthy eating doesn't always fit your schedule." IS YOUR MULTIVITAMIN A LIE? 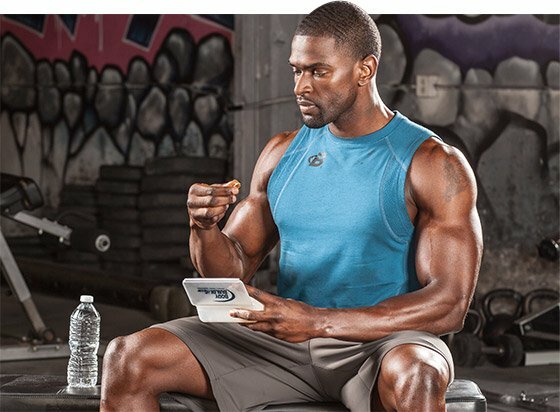 Sportsman or not, multivitamins are at home in just about every household. They claim to fill in any gaps in your nutrition, not boost sports performance, so their main selling point is actually longevity and an improved ability to fend off disease. Is the science at odds with the marketing claims? Well, researchers who published their results in the "American Journal of Epidemiology" undertook a ground-breaking study that followed almost 200,000 multivitamin-users over an 11-year period. The researchers found that there was no decrease or increase in mortality from all causes, such as cardiovascular disease or cancer, between people who took multivitamins and people who didn't. In short: multivitamins did nothing. Zero benefit. So if they're doing nothing and you chuck them down your throat like sweets to counterbalance your KFC obsession, then Colonel Sander's offerings are going to have a pervasive effect inside your body. There is also a worrying psychological aspect; it's thought that people who take multivitamins feel they have more junk food and exercise lay-day credits than people who don't. Sadly, the Grim Reaper doesn't factor in these supposed get-out clauses when he's hard at the grind. "The researchers found that there was no decrease or increase in mortality from all causes, such as cardiovascular disease or cancer, between people who took multivitamins and people who didn't." Supplement manufacturers by law have to state that their product is not a replacement for real food, but if we can send dudes to the moon on powdered Sunday roasts then isn't it logical that humans have progressed enough to make the "pill-diet" possible? "Astronauts' diets have been carefully formulated by top scientists to make sure no micro or macronutrient is overlooked," says Dr Jerry Liu, a nutritionist and food chemist. "On a global scale, this is actually done very successfully in animal models, with cows eating a mix of whole foods and artificially added nutrients. And you go on to enjoy their steaks as part of your balanced diet." Hell, even your pet pooch has his diet created in a lab and he's living longer than ever. "In theory, you can live on supplements, but the DIY approach will no doubt leave you with serious holes in your dietary requirements because you won't have the tech to monitor how much of each nutrient your body is absorbing," adds Dr Liu. Even though product labels are monitored to make sure they're truthful, you can't be 100 percent sure you're getting exactly what they claim to contain. "Often the processing destroys many of the unstable micronutrients and digestive enzymes your body needs to absorb [certain] nutrients," Dr Liu continues. "Many green supplements are getting frighteningly close nutrient levels to real foods, but they're not quite a match just yet." Real organic food guarantees health, but you take a risk by trying to supplement yourself healthy—unless your bedroom is built by NASA. 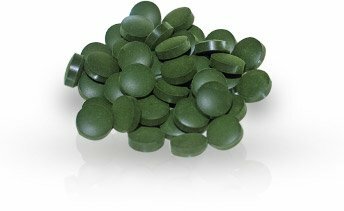 "Obviously, if you're eating badly then taking something like a green supplement is going to be significantly better for you than not taking it," explains Dr Liu. "Many green supplements are getting frighteningly close nutrient levels to real foods, but they're not quite a match just yet." So take them to put something healthy back into your body, but remember that they're not a sure enough bet just yet to risk your neck on. Dutifully sticking to a nutrition strategy doesn't always dish up world-class results. Occasionally getting a little lax with your diet is not just an extravagance, but a necessity. Cheat meals can actually help you stick to your diet, found research at the University of Illinois. The break from restricting calories helps keep you on track. "Looking forward to a cheat meal at the end of the week keeps people disciplined and actually has the power to speed up metabolism and burn more calories," says Moodie Dennaoui, nutritionist to world champion boxers such as Billy Dib. But if you want to gorge on cheat meals that would make The Rock envious then you're presented with an opportunity to out-supplement a bad meal. "There is a lot of scientific evidence behind the effectiveness of carbs blockers on the market and to a lesser extent fat blockers have also shown some promise," says Dr Liu. 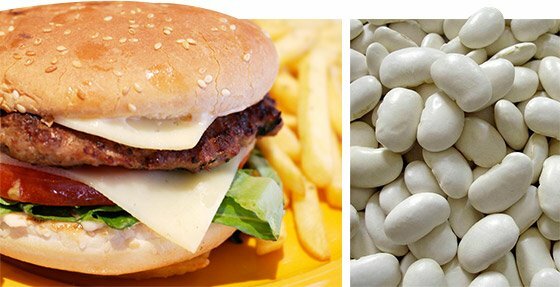 "Supplements with white kidney bean extract can reduce your body's ability to digest carbs and reduce the number of calories you extract from your cheat meal." Supplements with white kidney bean extract can reduce your body's ability to digest carbs and reduce the number of calories you extract from your cheat meal. Just as you mentally prepare for your big burger blowout, you should also plan to reduce its ill effects by using these supplements. But what about long-term periods of junk-food binges, such as a holiday, where you regularly visit restaurants and buffets? "Taking a fiber supplement can be beneficial because processed foods lack this nutrient and it helps to push the food through your digestive system," says Dr Liu. "This means the toxins won't be in your system as long as they would be otherwise." It may not be a great long-term strategy, but it will certainly help you come back from a holiday with a tan instead of belly. If you wash down pizzas with an extra-strength green super-drink then you definitely cushion the blow. Yes, today's supplements can almost do the job of a king-sized salad, but it still can't quite match it. 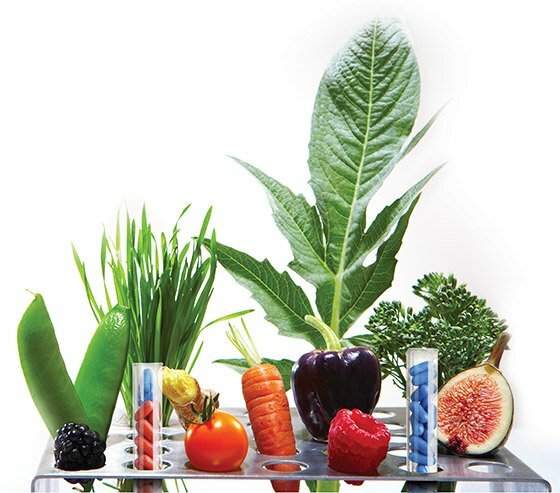 "Fresh foods are alive and the nutrients are as concentrated as you'll ever eat," says Dr Liu. "You may get 1,000 micrograms of spinach from a teaspoon of a green supplement, but that's never going to outshine the benefits of fresh food." Mother Nature isn't a girl who can be bested just yet, and supplements remain supplements—not substitutes. So be a man and eat like a man, not a child. In its inaugural edition, TRAIN magazine, the newest health and fitness bible, reveals the truth about how they work and what you should be taking when. Don't fall for sensational headlines and slanted science about vitamin/mineral supplementation. Nothing short of your long-term health is at stake. The cavemen were lucky in one way: Today's produce is half the quality it once was. Fill the gaps in your modern diet with smart supplementation!